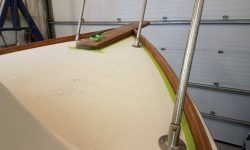 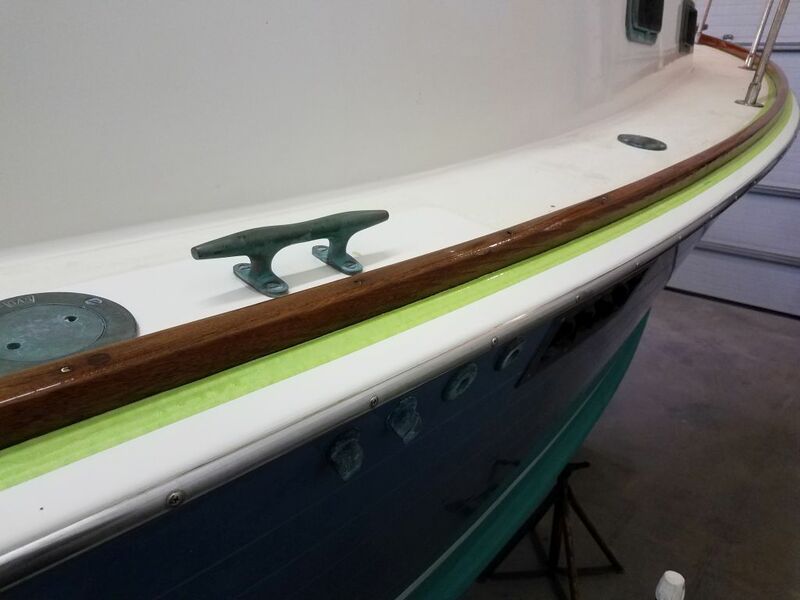 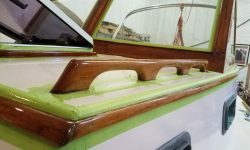 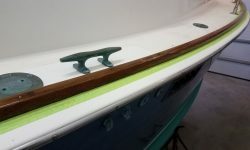 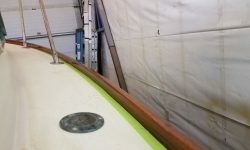 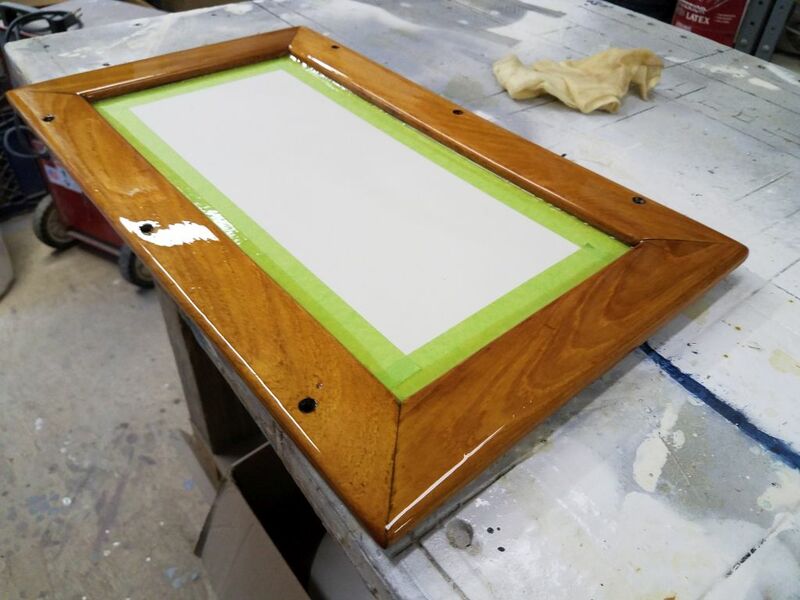 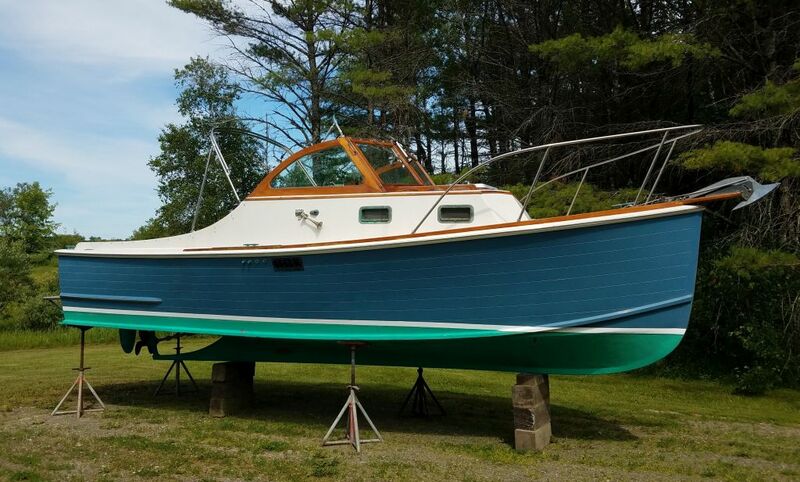 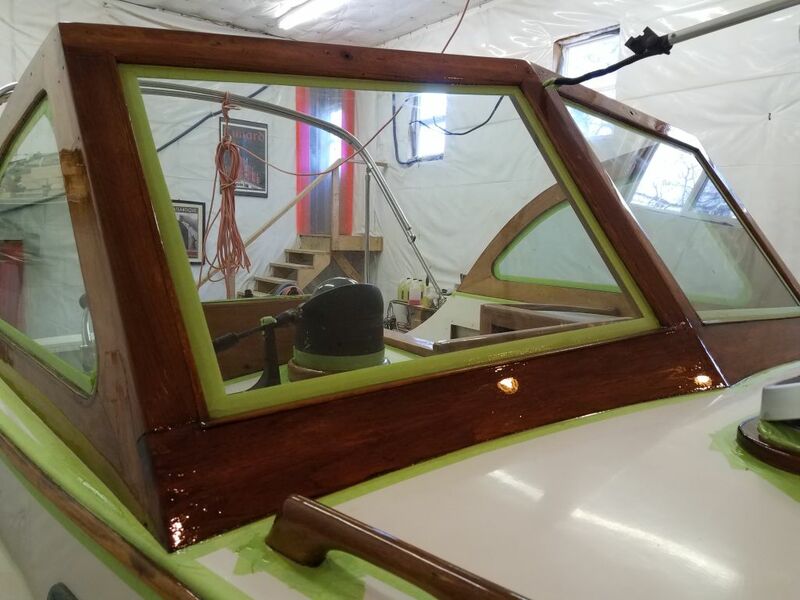 To begin, I lightly sanded all the fresh varnish on the boat with 320 grit paper. 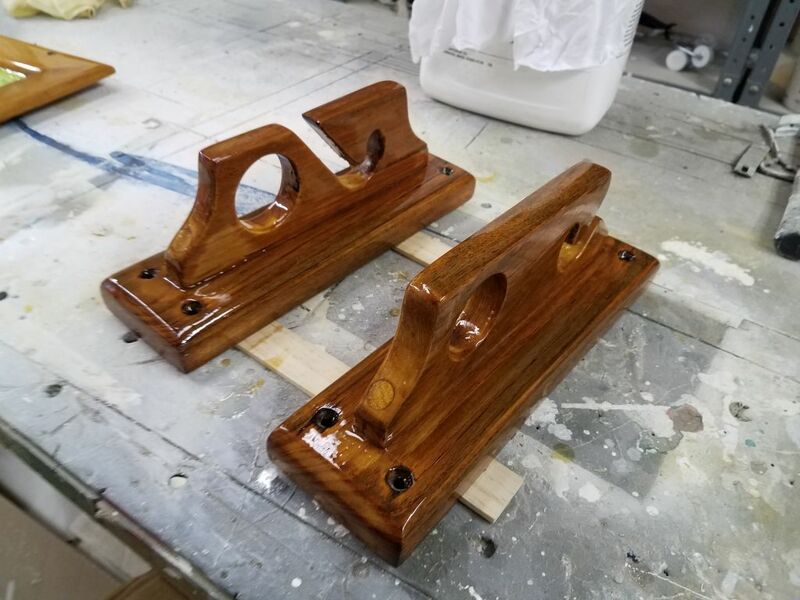 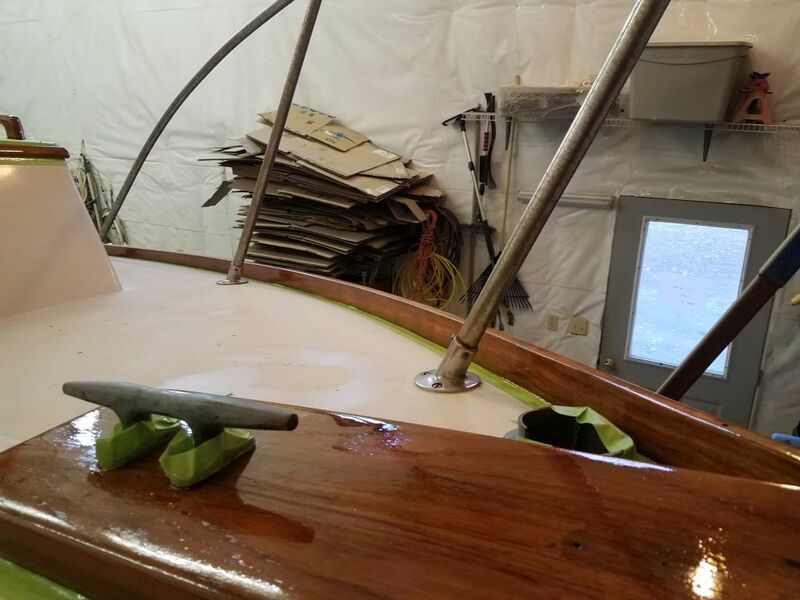 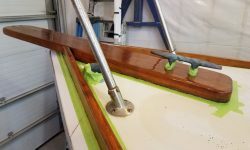 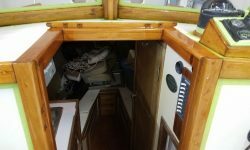 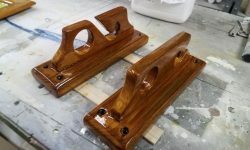 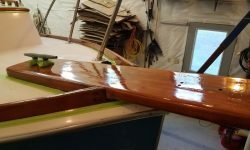 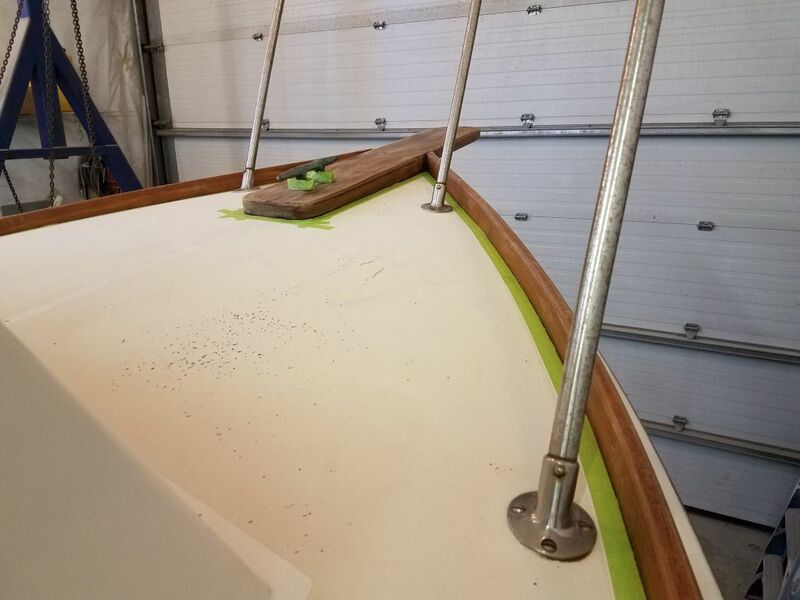 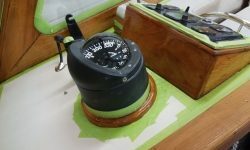 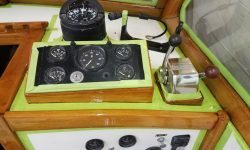 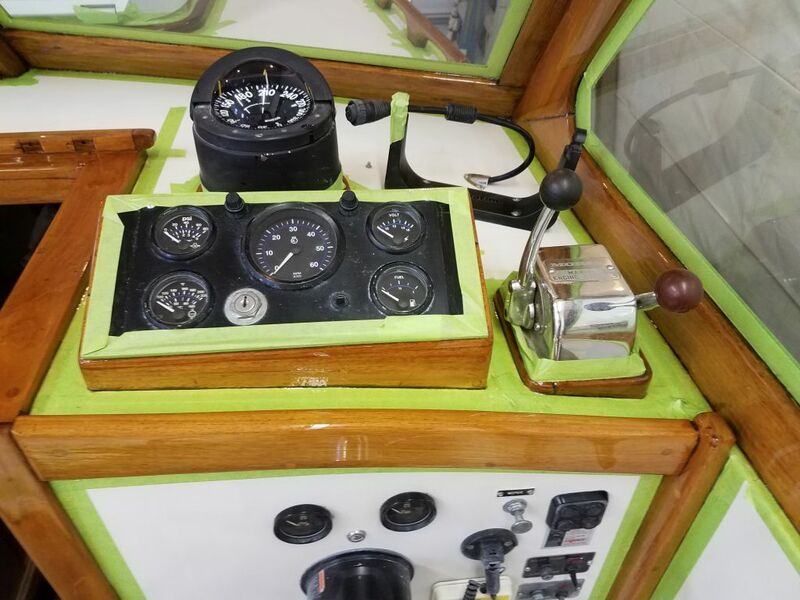 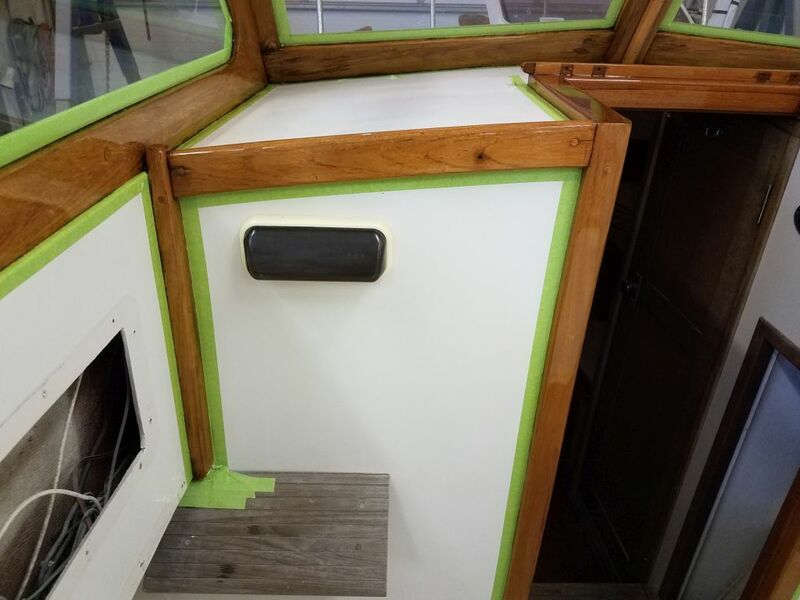 The companionway and loose trim pieces had two good maintenance coats, other than the rod holders, which I’d stripped and required several more coats of varnish, and I deemed most of these trim pieces complete for now. 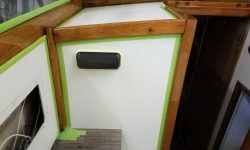 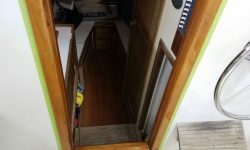 The two-sided door and hatch pieces from the companionway required another day or so of cure time before I wanted to turn them over to work on the opposite sides, so I set these aside. 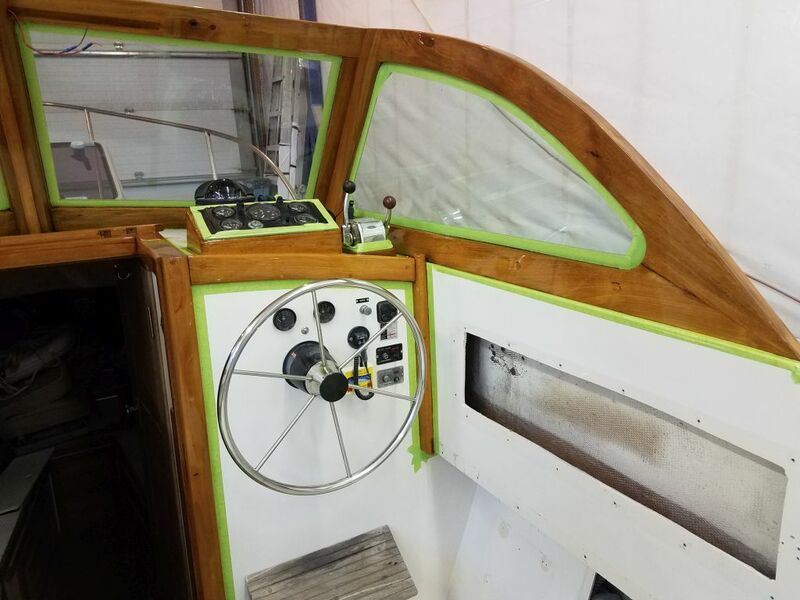 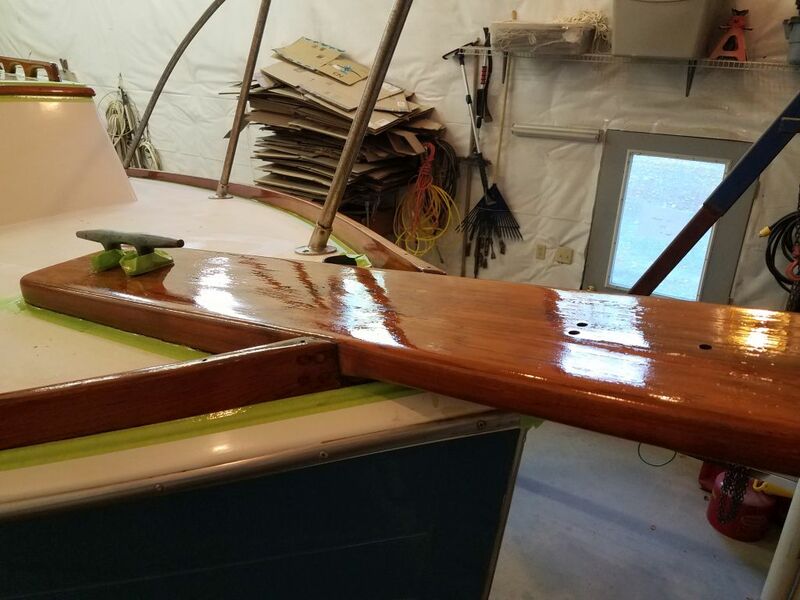 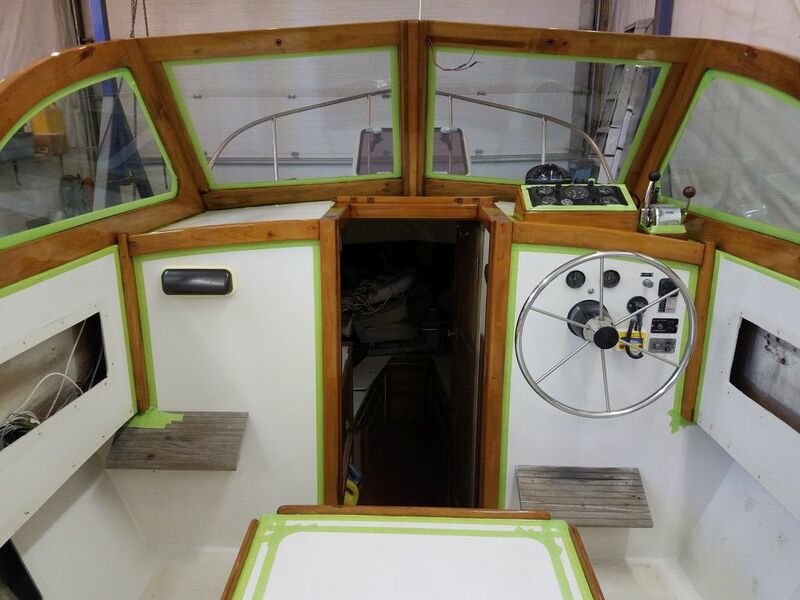 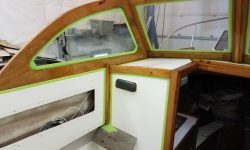 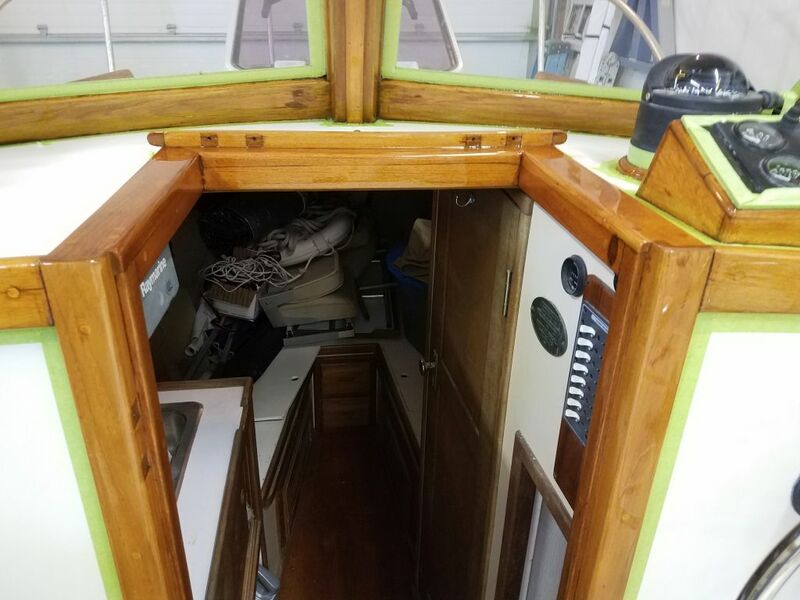 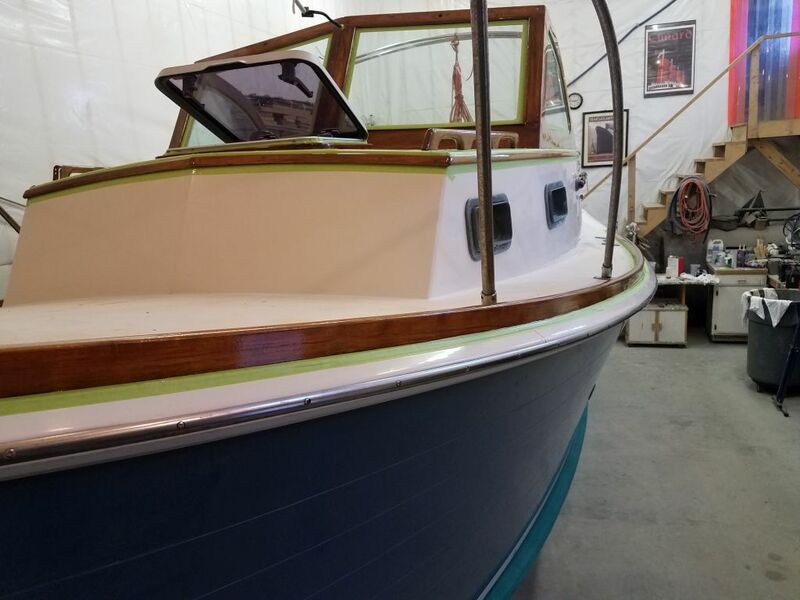 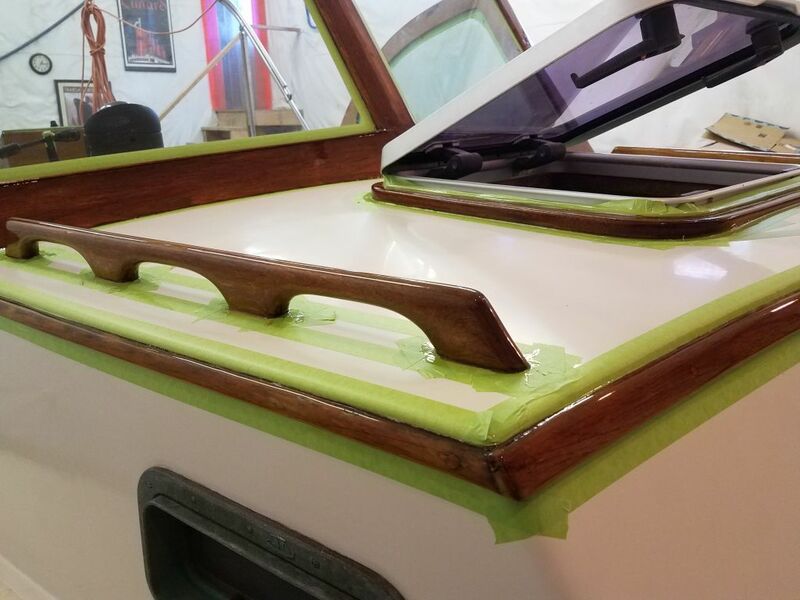 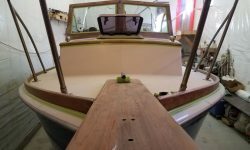 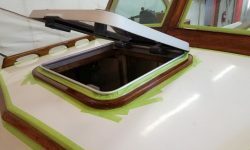 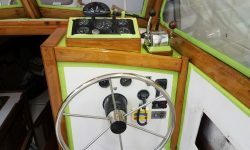 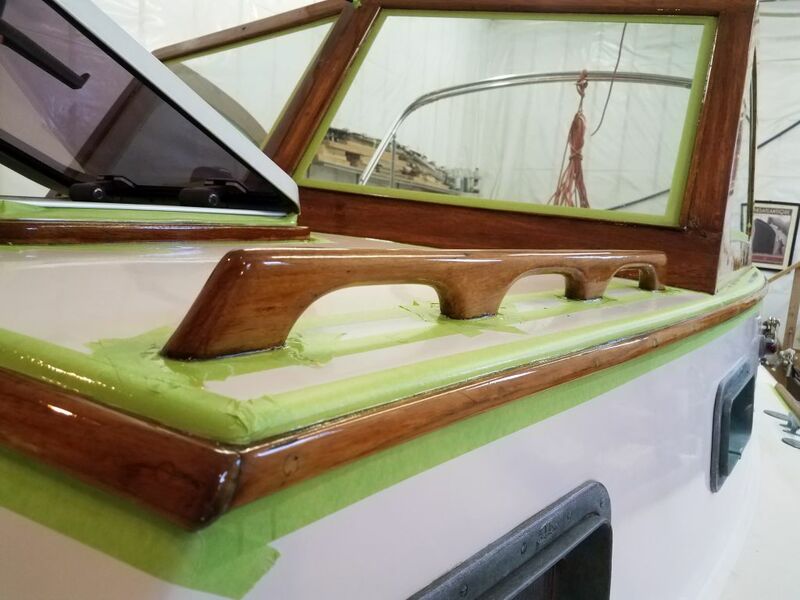 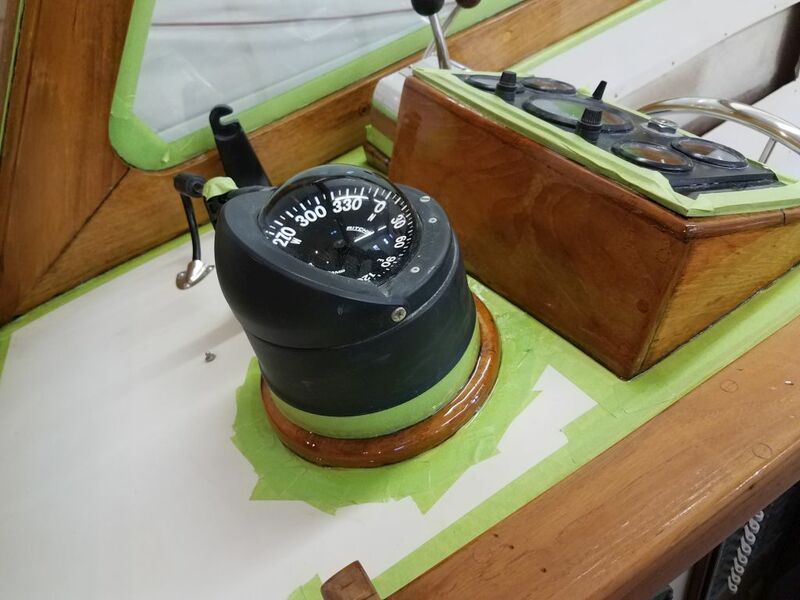 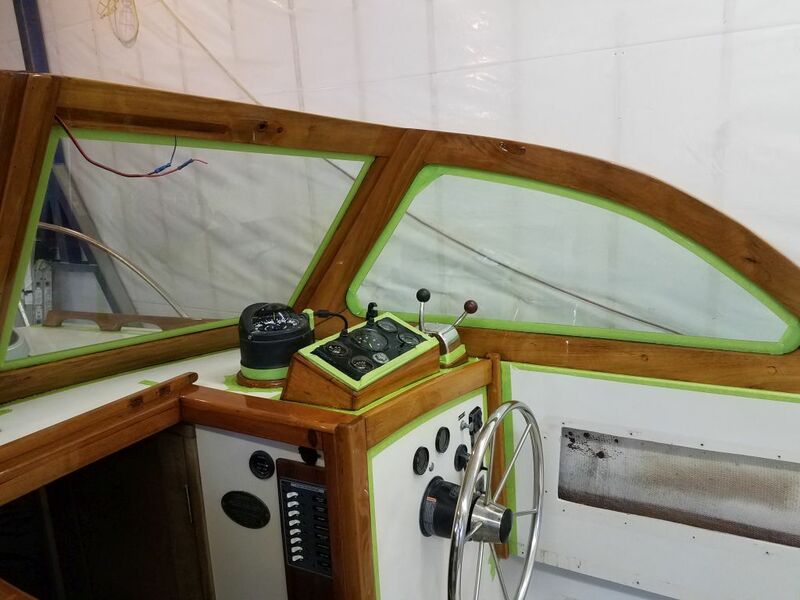 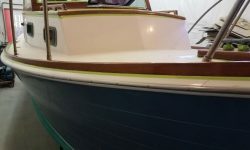 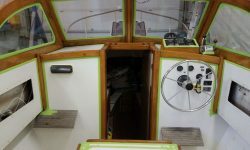 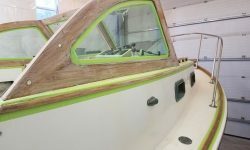 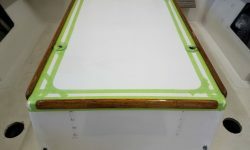 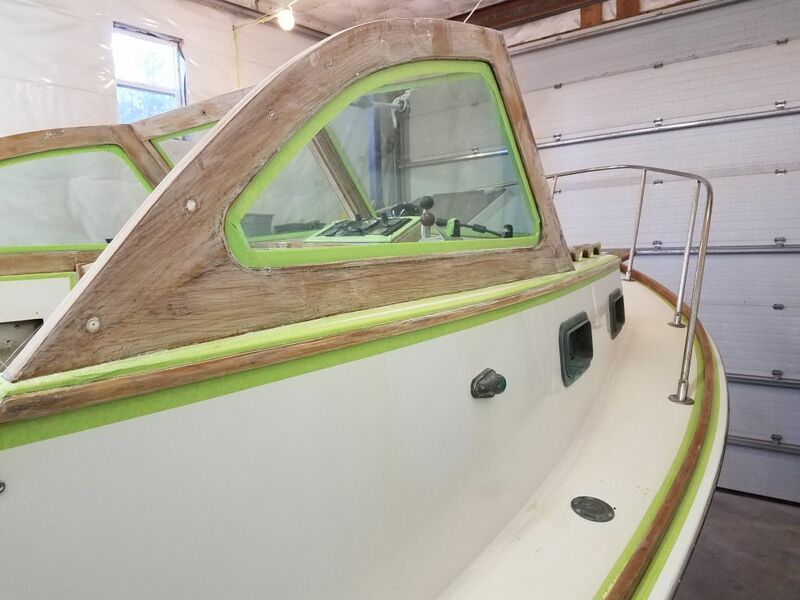 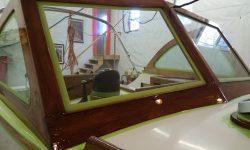 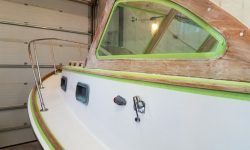 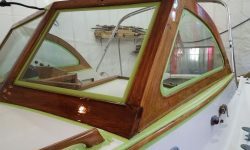 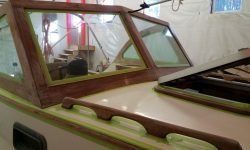 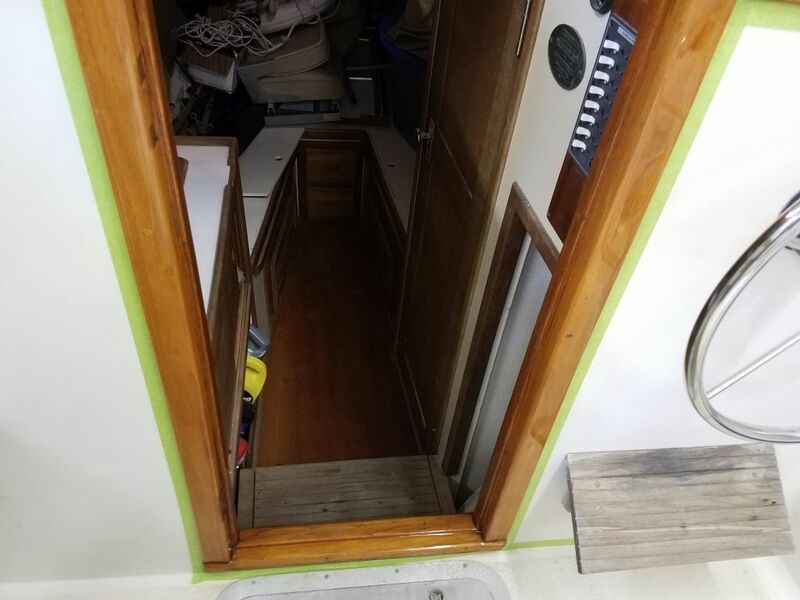 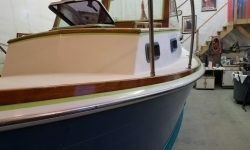 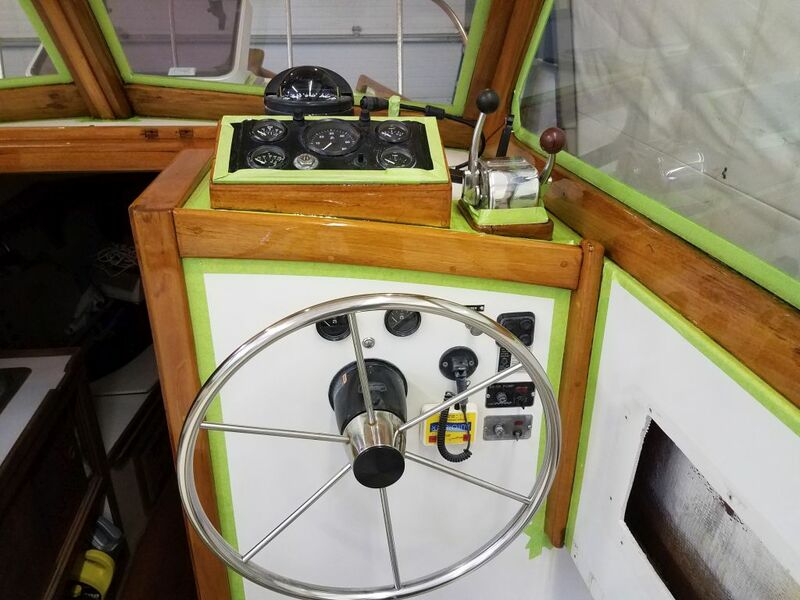 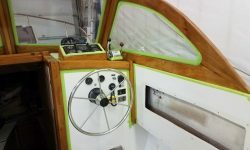 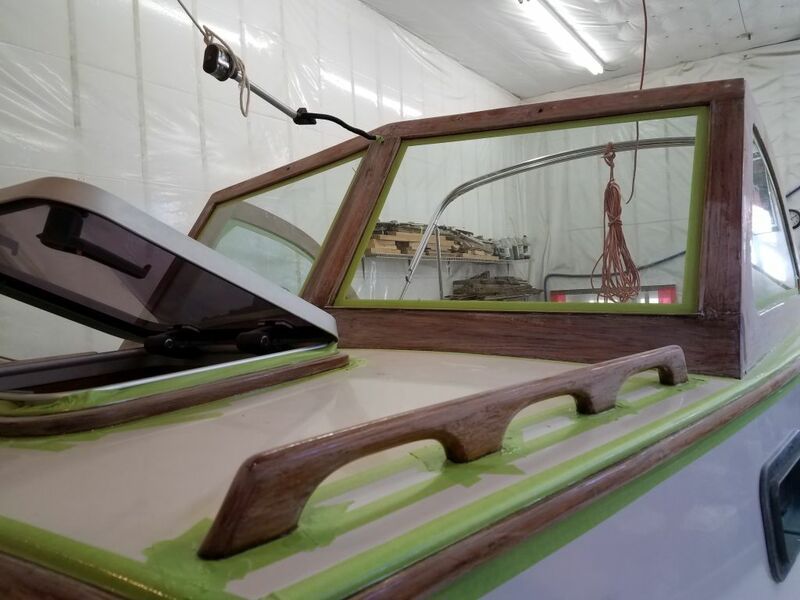 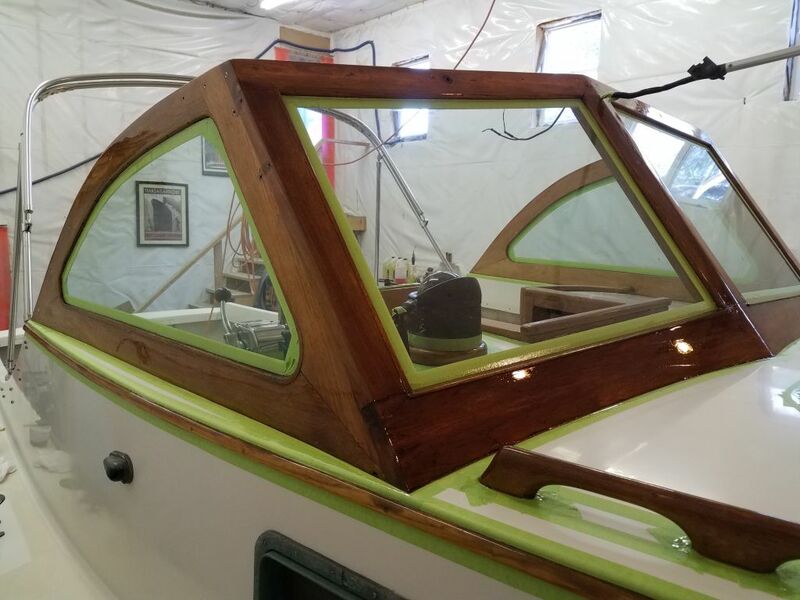 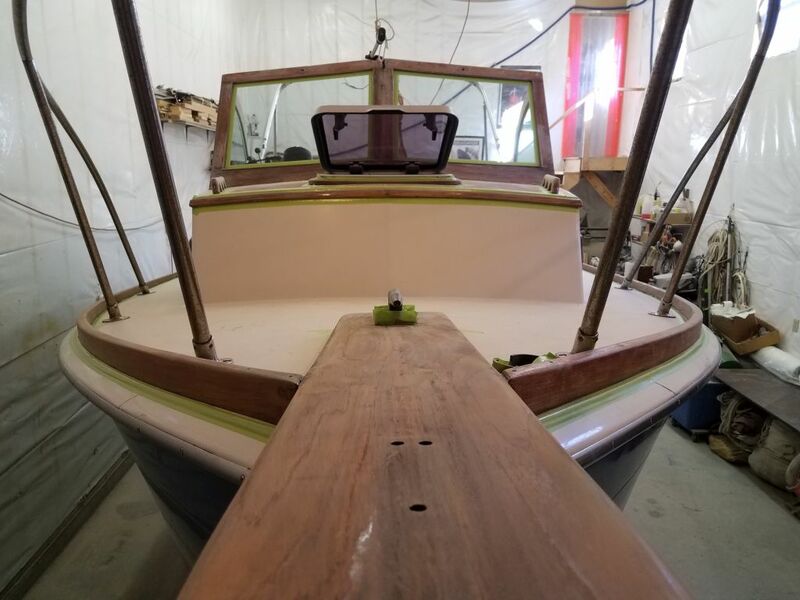 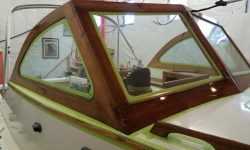 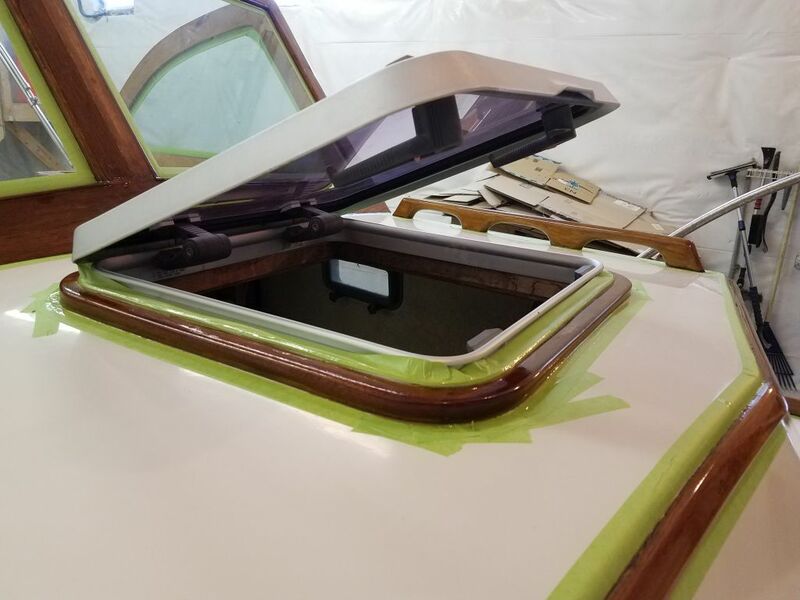 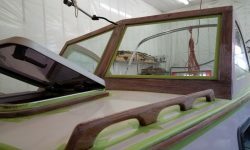 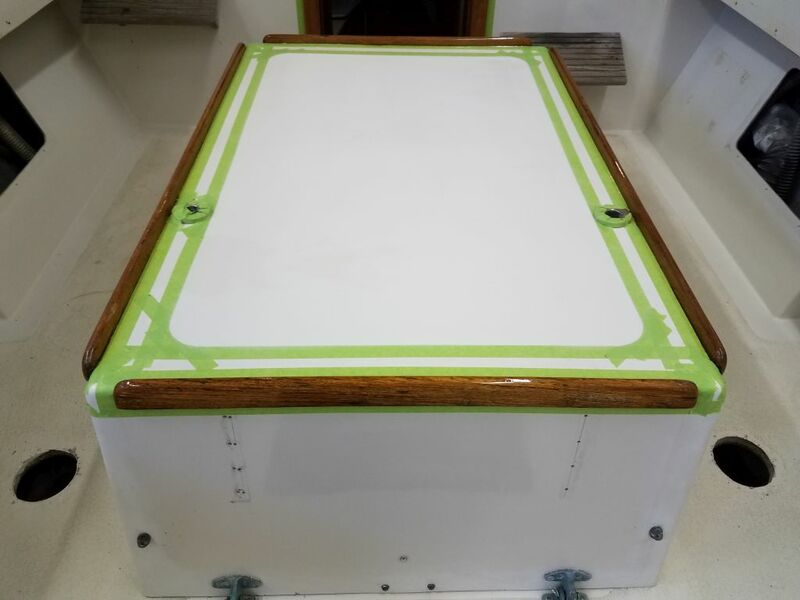 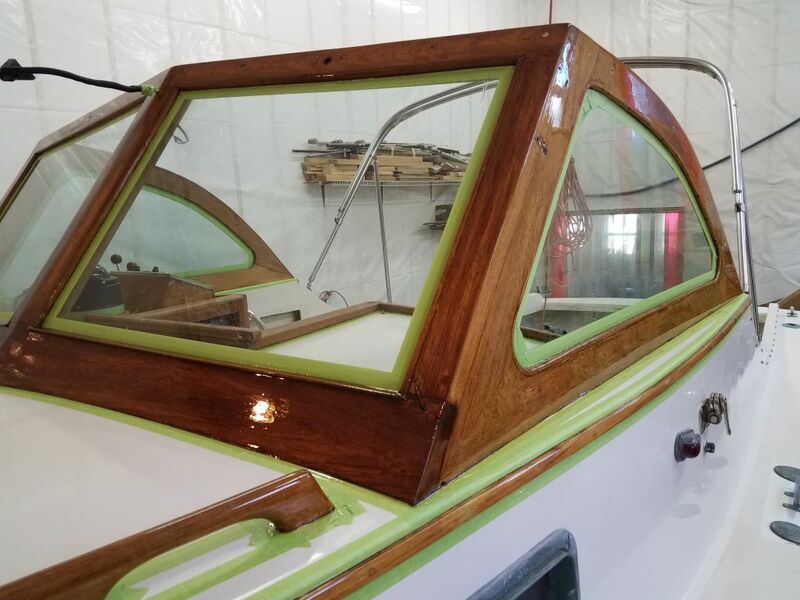 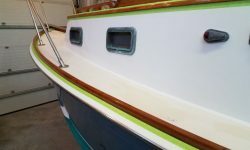 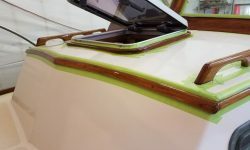 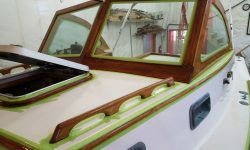 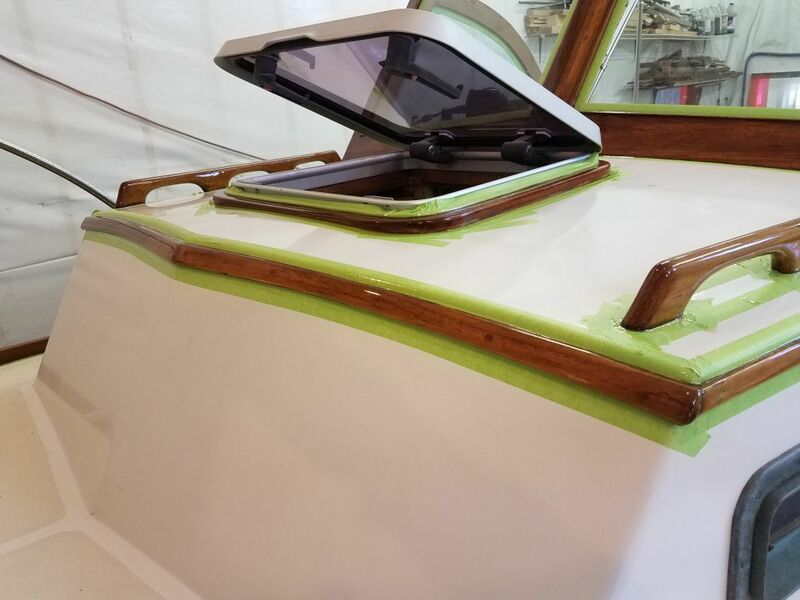 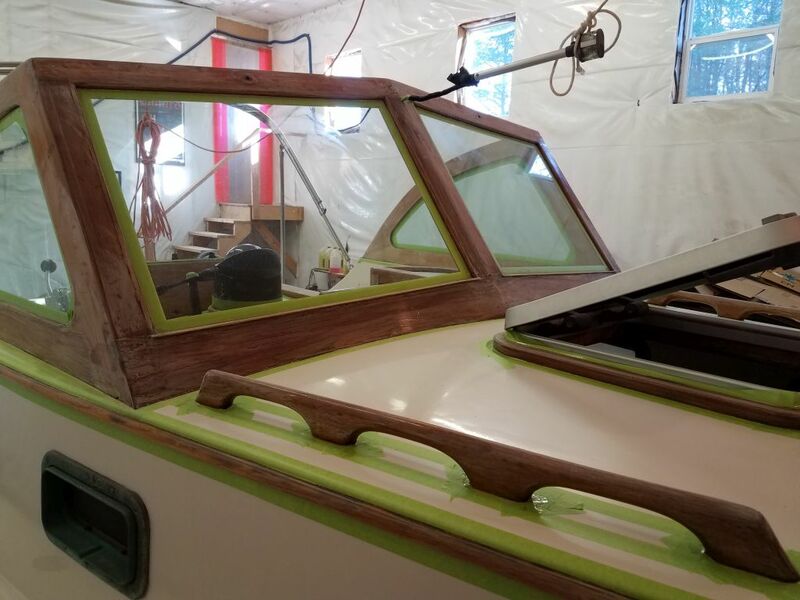 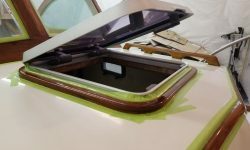 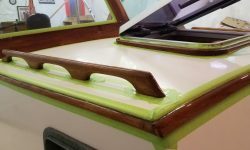 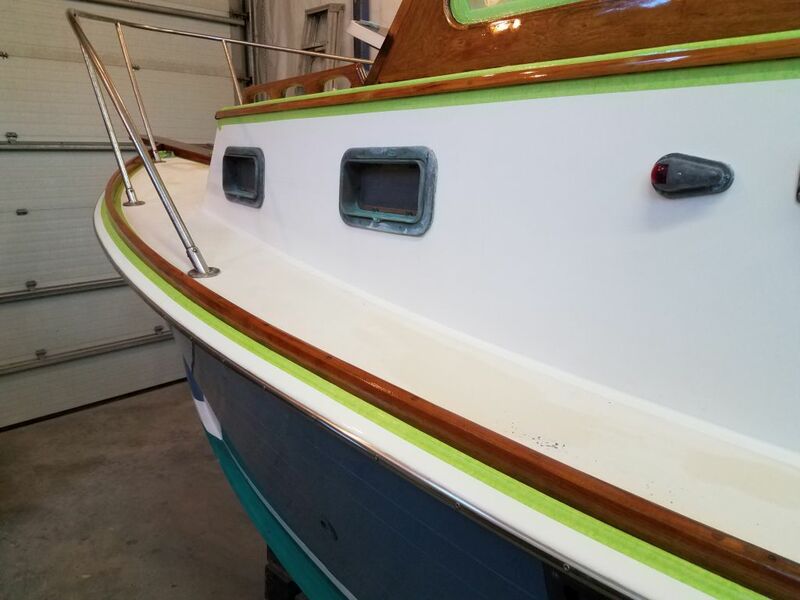 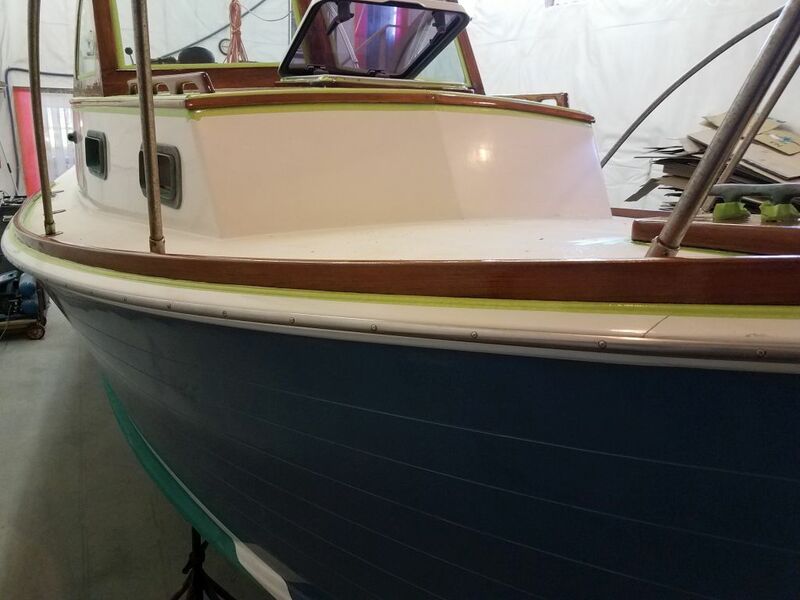 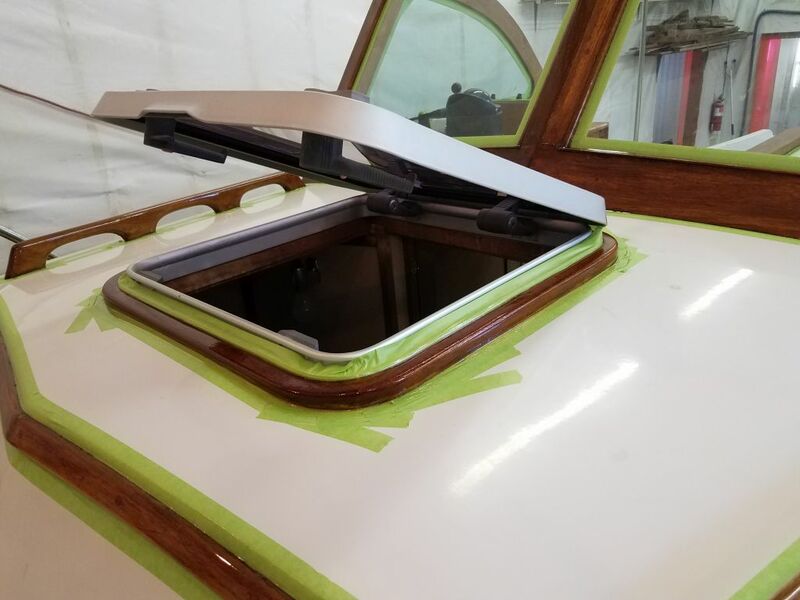 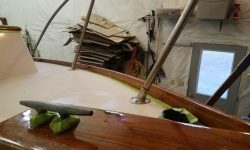 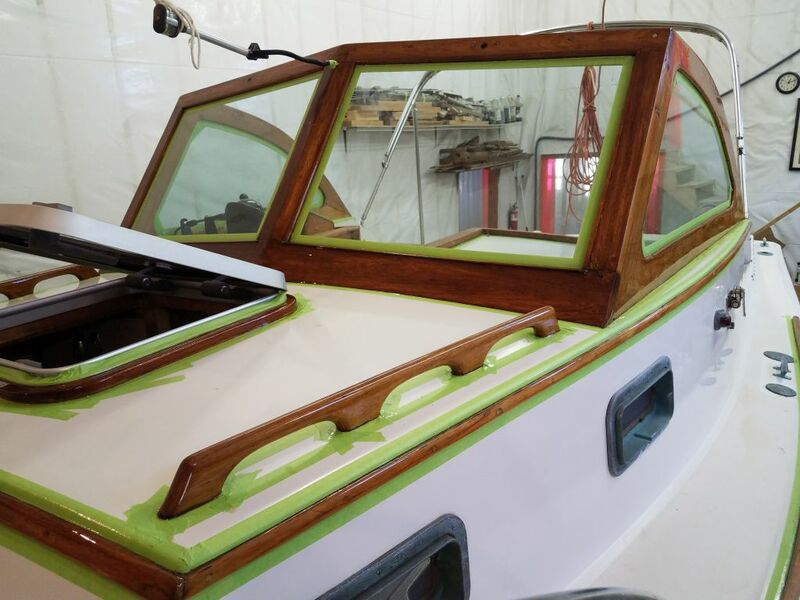 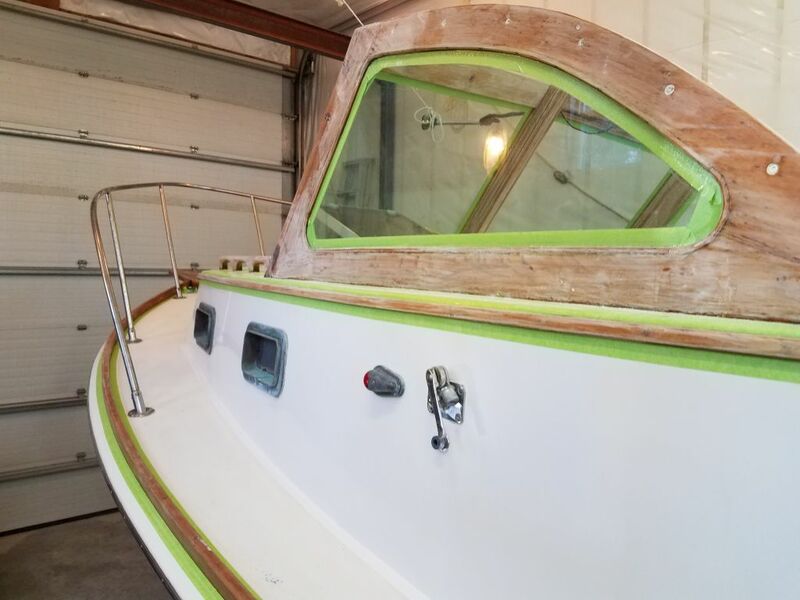 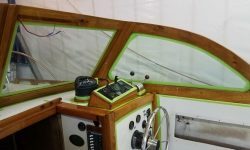 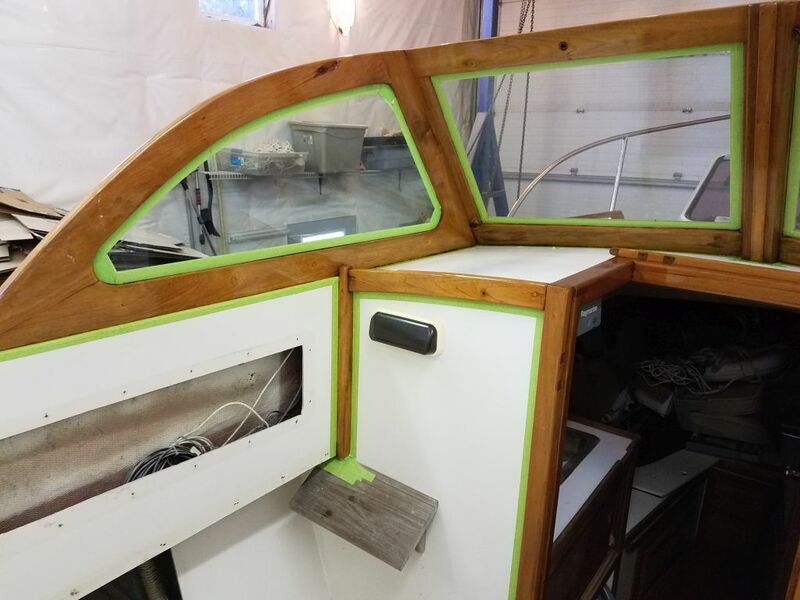 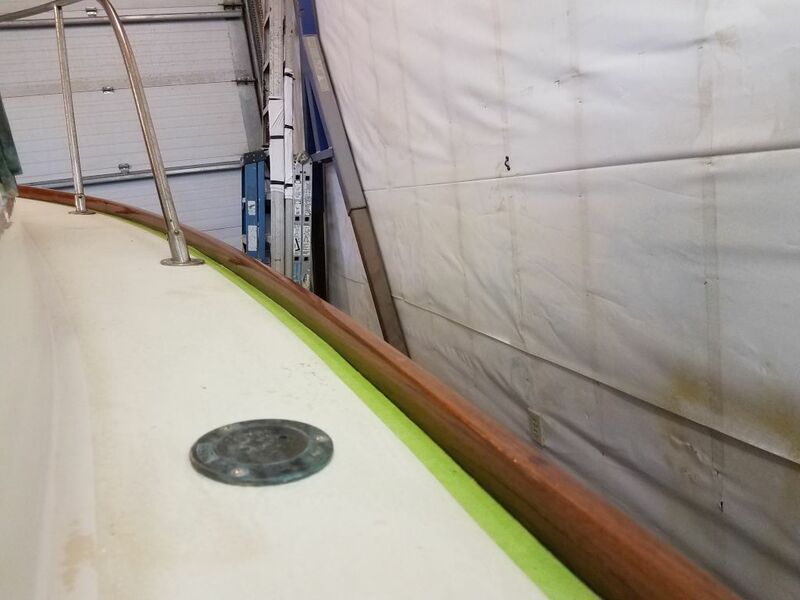 After the usual rounds of vacuuming, solvent wash, and tack-off, I applied a second coat of varnish to the windshield, dash area, companionway trim, eyebrows, and handrails, along with a third coat on the hatch surround. 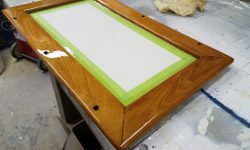 Afterwards, I applied the second coat of varnish to the toerails, which would require a number of additional coats to achieve the desired buildup. 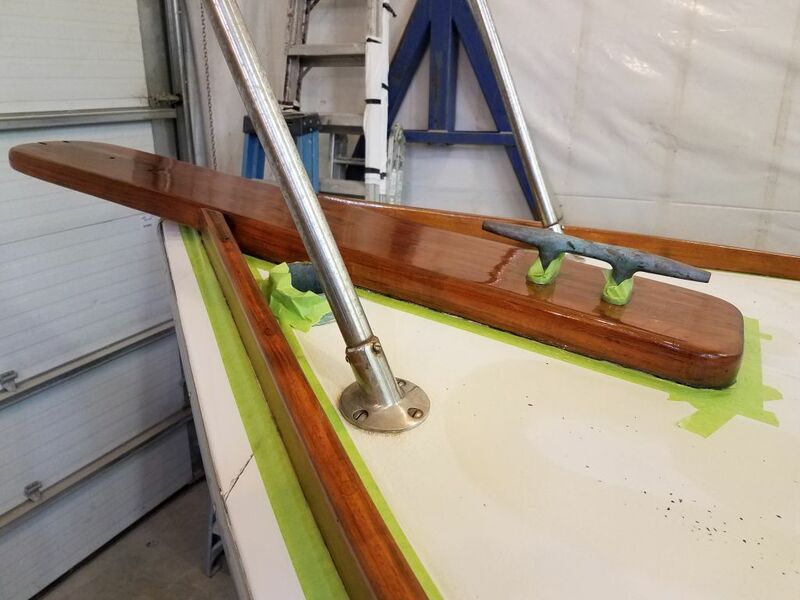 Finally, I applied more varnish to the little rod holders, along with one other piece of trim that I though required an additional coat.